Hi girls, Welcome back! 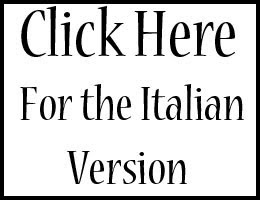 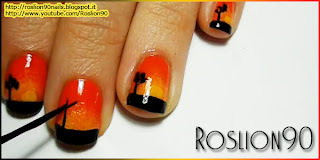 In this post I'll show AFRICA NAILS!!! A really nice nail art that captures everyone's attention! 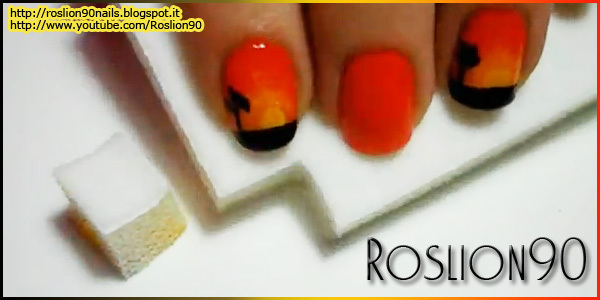 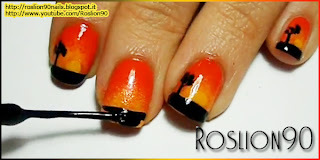 Warm colors, juxtaposed shades, sponge and some practice enough make this nail art. 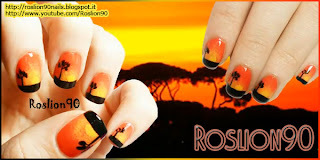 If you like the Savannah and African sunsets then try your hand in this job! 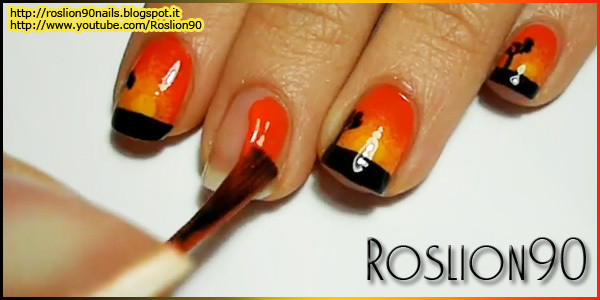 Apply orange polish on entire nail. 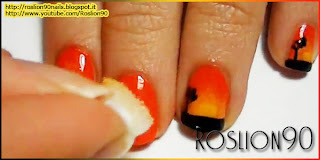 With a piece of sponge and yellow polish dub the final nail part. 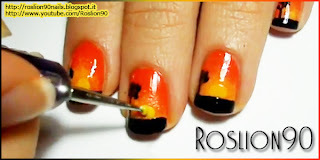 with black nail art polish paint the nail tip. Draw a tree trunk and three branches. Draw the sun with Dotter and yellow polish. Put top coat and we're done!